Amaranthus tricolor. Leaf/Greens. 25-50 days. 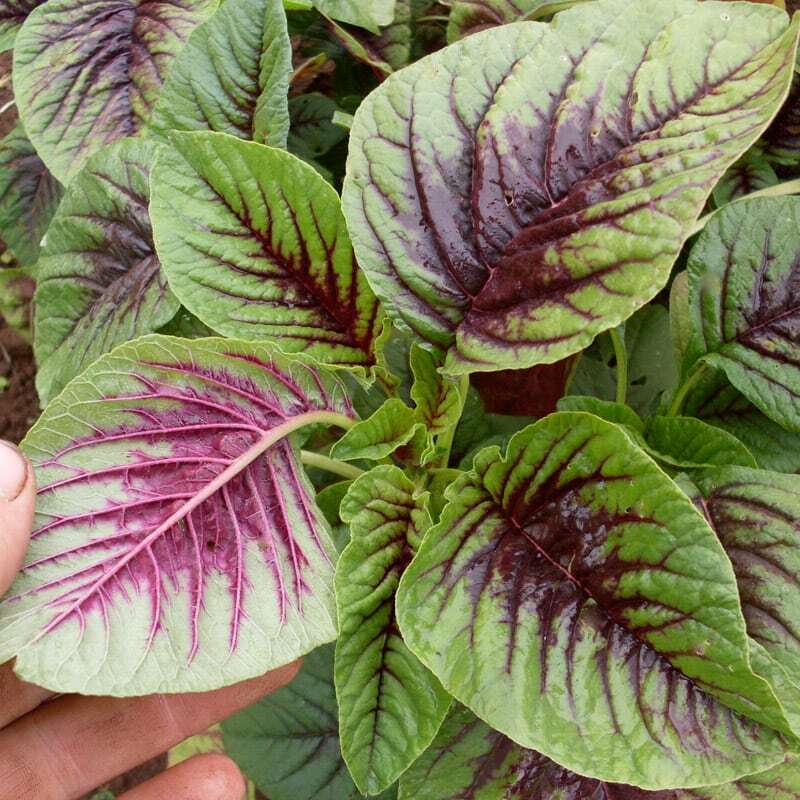 A beautiful red-veined green leaf amaranth for salad and cooking. 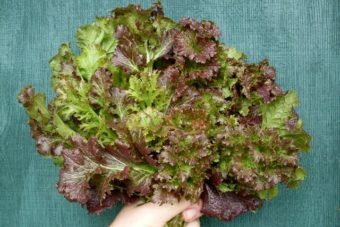 Leaf backs are all red, adding unique color to salad. 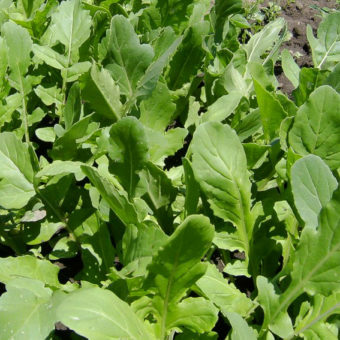 A heat tolerant spinach substitute that is popular in Asia and Latin America. Also good cooked or pickled. Years ago we tasted a kimchi made from amaranth leaf and it was very good! This type of amaranth is sometimes called Callaloo in the Caribbean where it is used to make a popular dish of the same name. We brought this variety back from the abyss in 2006 after it was lost commercially in 1999. Not a grain variety as it has black seeds. Sow in pots indoors in April for planting out in May, or direct sow after danger of frost. Space or thin to 6-12 in. 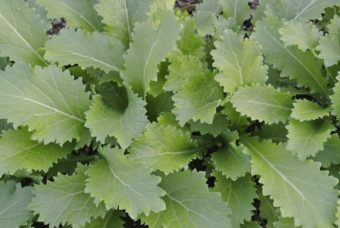 Harvest leaves as needed for salads or cooking greens.